When winter becomes a fast fading memory convertible owners drop their tops and let the sun shine in. 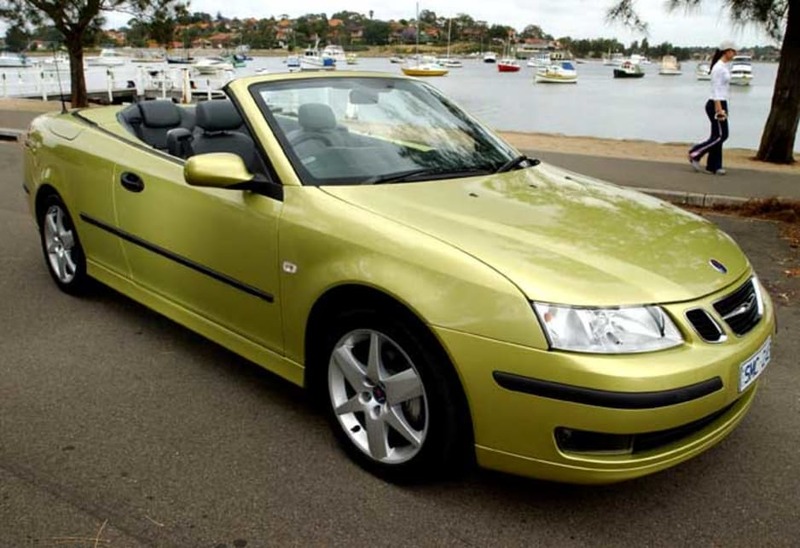 There are few things more enjoyable in life than driving a rag-top like the Saab 9-3 on a sunny summer day. 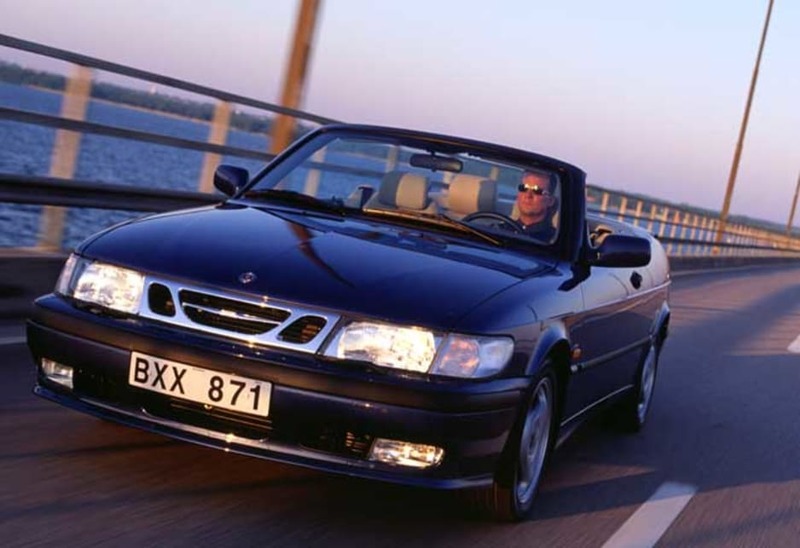 For a country covered in snow and ice for much of the years it’s surprising that Sweden is a maker of convertibles, but Saab has been one of the main players in the rag-top market for many years. 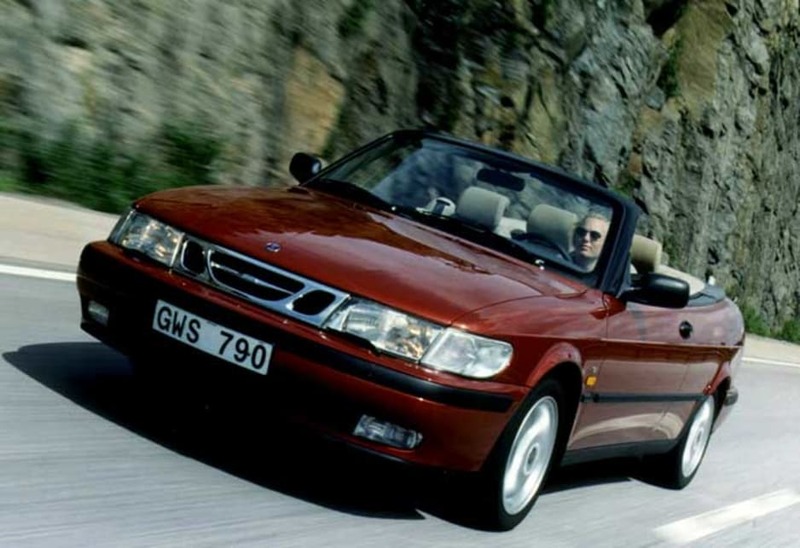 There is now a wide choice of soft tops from many manufacturers, but it wasn’t so long ago that the Saab convertible was one of the few choices we had. Early Saab convertibles were about the only affordable choice just a few years ago and there are still plenty out there today. The 9-3 arrived in local showrooms in 1998, replacing the 900S, which had been a popular model. The range was made up of three-door and five-door hatches and a convertible, which is the model we’re focussing on here. 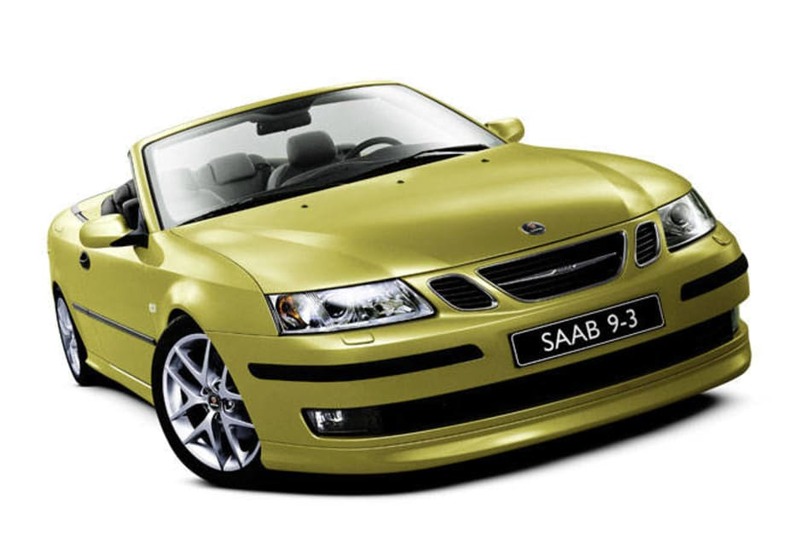 Saab had a long history of building affordable convertibles and the 9-3 continued that tradition. 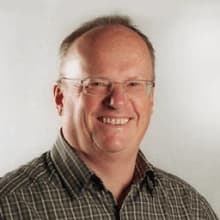 By the time it was launched there were a number of convertibles available from other carmakers so the pressure was well and truly on the small Swedish car maker to hold its place in an increasingly competitive market. 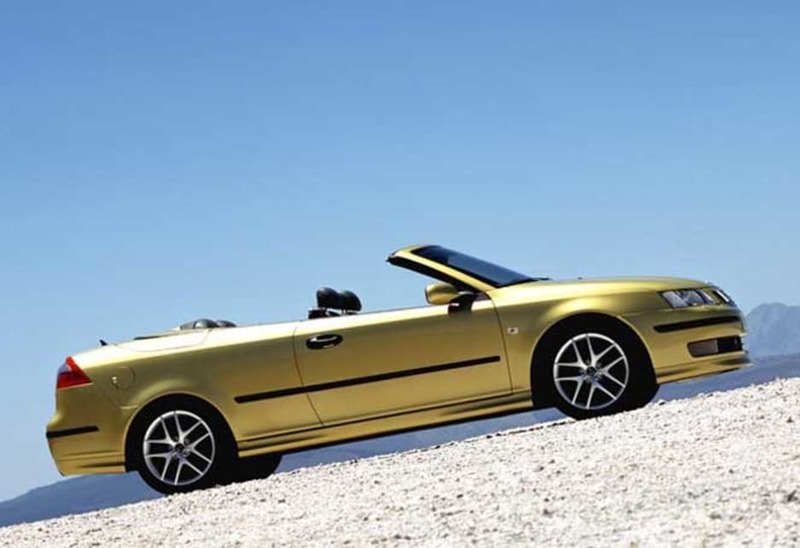 From the outset it has to be said that Saab convertibles have always been a little loose in terms of body stiffness and shake was a constant annoyance when driving one. Saab wasn’t alone in suffering from body shake, which was mostly in the dash and scuttle area, but they seemed to suffer more than most. In the late 1980s with the competition never more intensive the Saab was trailing its closest rivals in the body stiffness stakes, it was something most other car makers had been able to get on top of. 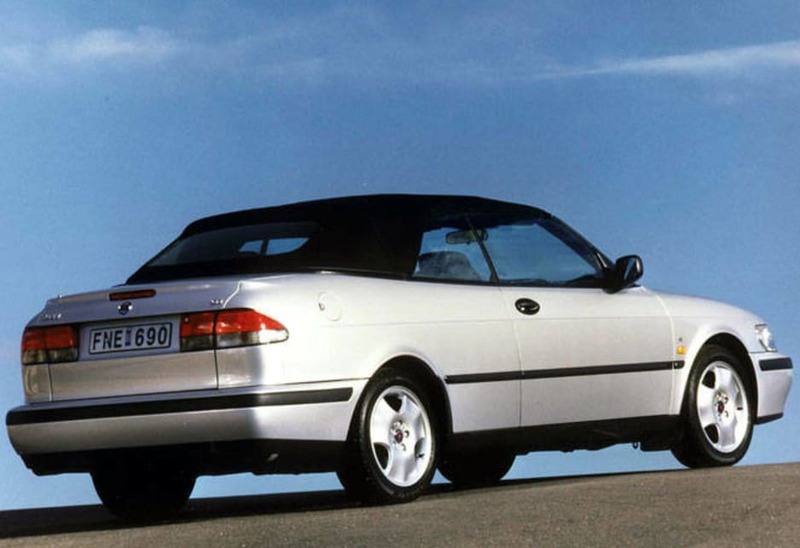 Saab seemed to believe theirs was acceptable, but one drive of another convertible was enough to know that they were wrong. 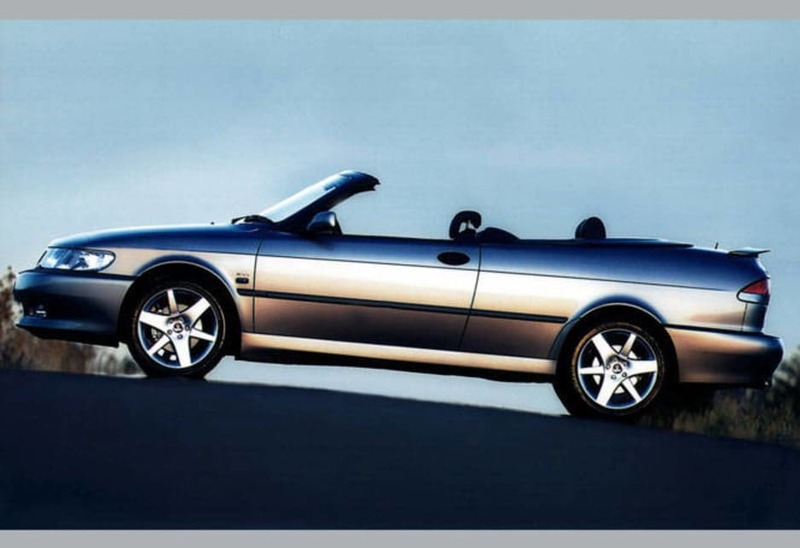 What made the lack of body stiffness more annoying was that the Saab made a pretence of its convertible being a sports or performance model. The shake was one thing, but the body flexing dulled the handling and made the 9-3 less precise than it should have been. Front-wheel drive didn’t help the 9-3’s precision either, and couple all of that to a powerful turbo engine and the soft-top Saab could be a bit of a handful. As a cruiser though these problems aren’t so obvious, the 9-3 makes a most pleasant car when the sun is shining and the coast road beckoning. The convertible was available in two models, with a choice of 2.3-litre double overhead camshaft four-cylinder engine or a 2.0-litre double overhead camshaft four-cylinder force fed by a turbocharger. The 2.3-litre engine would make 110 kW at 5700 revs, which gave the 1368 kg soft-top good performance without ever threatening to make your nose bleed, the 2.0-turbo engine made 136 kW at 5500 revs, which gave it a little more zip. While the 2.3-litre was smooth and perhaps the better choice, the turbo lag associated with the 2.0-litre engine was a real downer. Transmission choices were a rather wooden shifting five-speed manual gearbox and a four-speed auto with final drive going through the front wheels. 9-3 owners weren’t left without when their cars came packed with most of the comfort, convenience and safety items that were sought at the time. The 2.3 rag-top came complete with power steering, power antenna, windows and central locking, it had leather trim, cruise control, trip computer, CD sound, air-conditioning, front and rear fog lamps and an immobiliser. The 2.0-litre turbo had all of that plus six-speaker sound, CD stacker, woodgrain dash and auto climate control air. 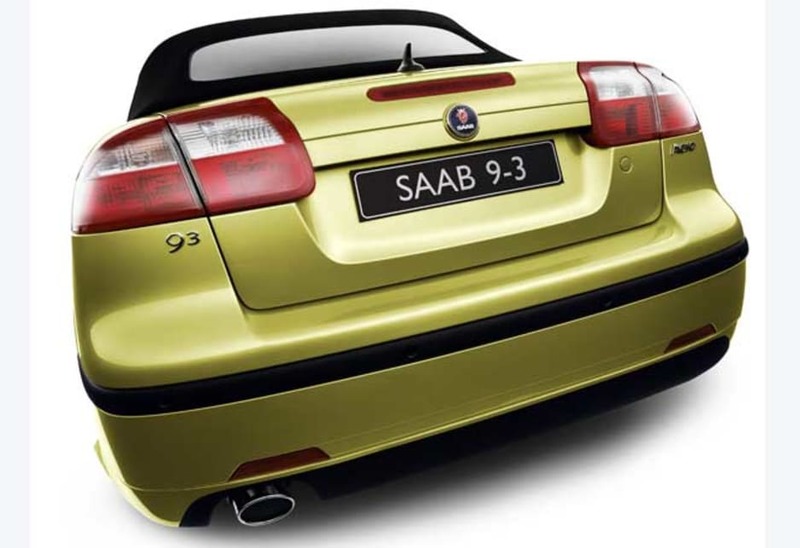 In 2000 Saab released the Aero model which had the 151 kW boost of an uprated 2.0-litre turbo four-cylinder engine and came fitted with just about every feature on the Saab option list including ABS and traction control. The 2.3-litre engine is a rugged unit that doesn’t give much trouble, and with a chain driving the camshafts there isn’t the need to service it as there is with belt driven engines. Likewise the 2.0-litre turbo gives little trouble and also has a chain driving the camshafts. When shopping for a convertible there are a few things that need to be checked. For starters the interior trim often comes in for a battering from the sun when left exposed for long periods so look for cracking of the leather trim, the dash panel and other plastic parts that will harden and crack or break in time when exposed to the sun’s rays. Leather can get very hot in the sun and be uncomfortable to sit on. Some owners would happily forego leather for cloth for more comfort in the summer months. If you stick with the leather it’s worth treating it regularly with a leather cleaner and conditioner to keep it soft and supple. That way it won’t so readily dry out and crack. Check floor carpets for dampness or staining that might indicate previous dampness from being left in the rain with the roof down. Also check the operation of the soft top, making sure it goes up and down smoothly without any hesitation or jerkiness. Dual front airbags and side airbags provide all round protection for front seat passengers, add to that side head airbags in the Aero and the secondary crash protection is quite extensive. Alex Giansiracusa owns a 2001 9-3 Aero manual convertible and loves it! He was looking specifically for a manual Aero, which at the time was very difficult to find so he went to Sydney to buy his. Now with 32,000 km on the odometer he says it has been very reliable and is very therapeutic to drive. His only criticism is the noticeable turbo lag. Other than that, he reckons he has bought an almost brand new luxury sports car for at a very reasonable second hand price. An affordable convertible that is generally reliable if you can put up with the body shakes.